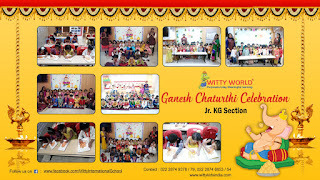 Ganesh Chaturthi is celebrated with great joy and devotion in India. People bring Lord Ganesh Idols and worship them during the festival. Ganesh Chaturthi is considered as the day on which Lord Ganesha comes down on earth to give blessings to his devotees. 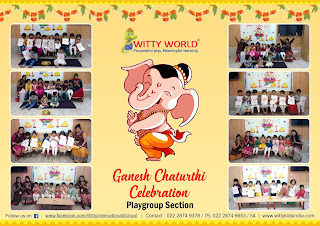 This festival is celebrated with extreme vigor and enthusiasm especially in Western India, specifically in Maharashtra. 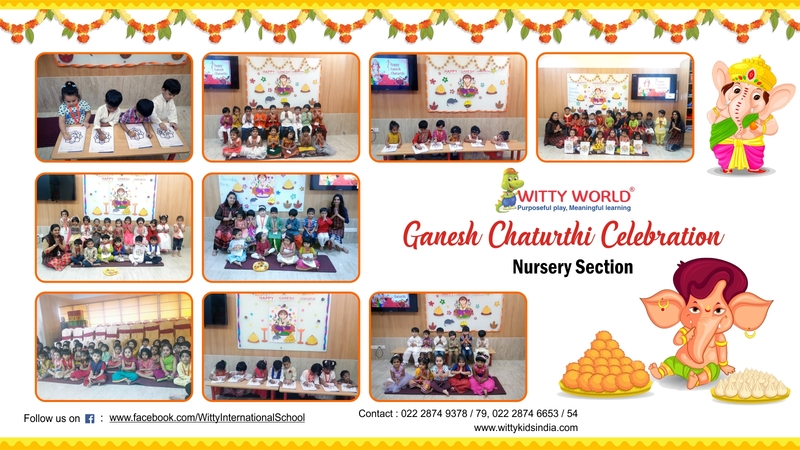 Little Wittians of Pre-primary section celebrated “Ganesh Chaturthi” festival on Wednesday, 24th August 2017. 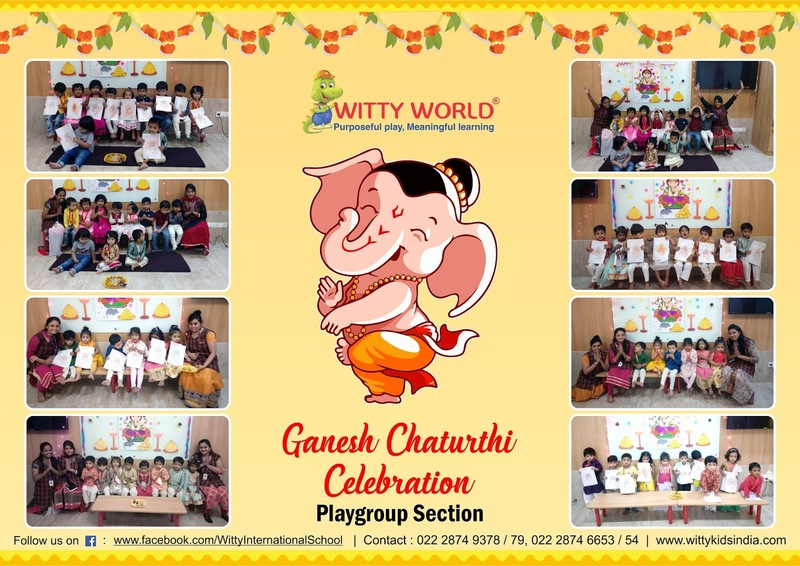 As a part of the celebration the kids were shown a short movie on Lord Ganeshji explaining the importance of the festival. The celebration focused on having an eco friendly festival. 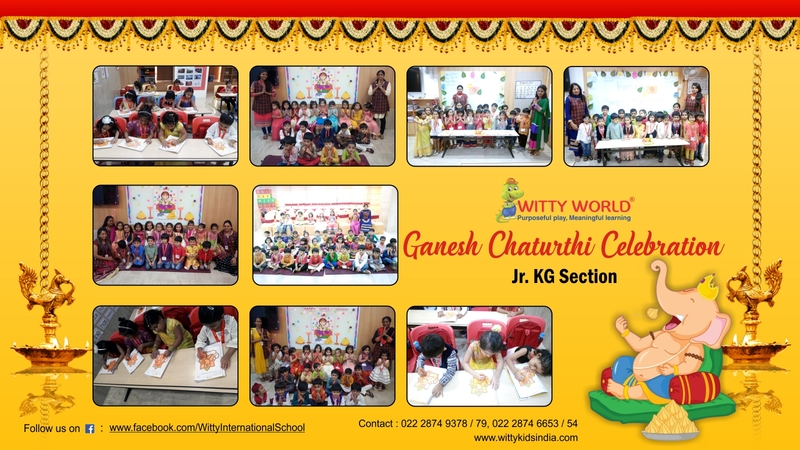 Teachers used Clay and plaster of Paris to make Ganesh idols. Both were individually immersed in water. Using inquiry based learning children identified which idol took longer to dissolve in water and therefore which would be an eco friendly material. 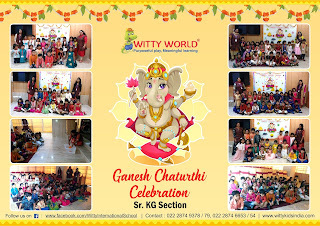 The spirit and the enthusiasm of the festival was enhanced with the shlokhs and songs of Lord Ganesha.